This President’s Day, I am reminded of history found in the Southern Red Oak Forest section of the Crum Woods. 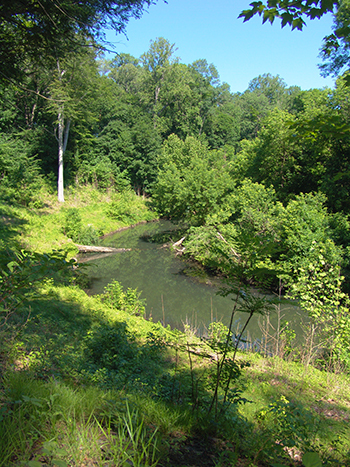 While this section of the woods is one of the five unique locations prominent for their excellent state of preservation (the Wister Forest, Martin Forest, Trillium Slope, Skunk-Cabbage Hollow, and the Southern Red Oak Forest), it also has an interesting history of human use. As you hike along the trail, you will discover amazing native plants recovering from the formerly-high deer pressure, and odd man-made additions. You may notice the remains of an old powder mill, which was in use during the American Revolution. 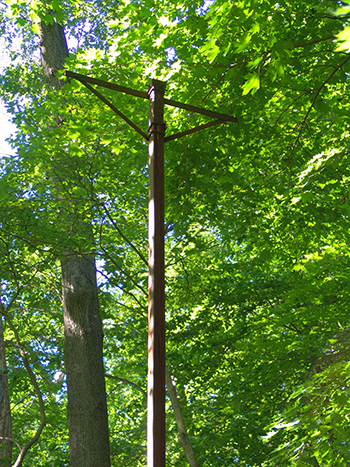 If you look up during your exploration, you may see odd man-made poles along the trail. We believe these were the poles for the power lines when, in the 1920s, the college supplied its own power from the dam. 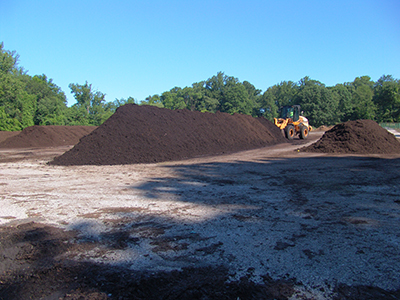 This portion of the 200-acre Crum Woods encircles the township/college leaf mulch processing center located off of Avondale Road near the entrance to the Smedley-Leiper Trail. 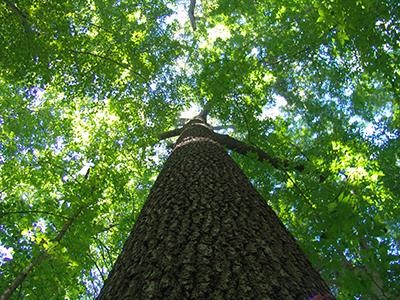 This site has ecological importance: the endangered native southern red oak, Quercus falcata, has five mature specimens towering over the forest canopy here. This native tree species has reddish brown fall color and produces acorns biennially, providing food for wildlife as well as nesting sites and shelter. 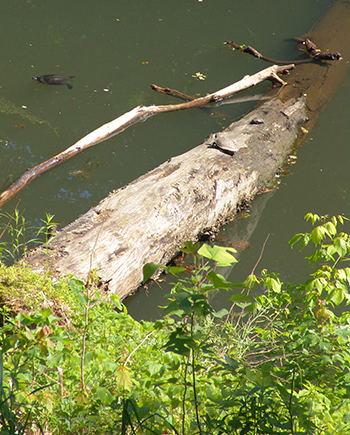 It also serves as a larval host for butterflies and moths. Commercially, the lumber is used for construction and furniture. 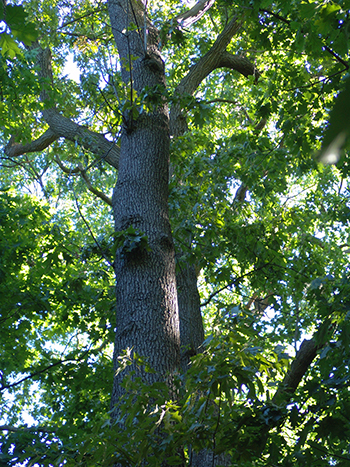 Growing alongside the southern red oak is the fellow native Querucs velutina, black oak. Black oaks attract songbirds, ground birds, and mammals by providing a food source, acorns. 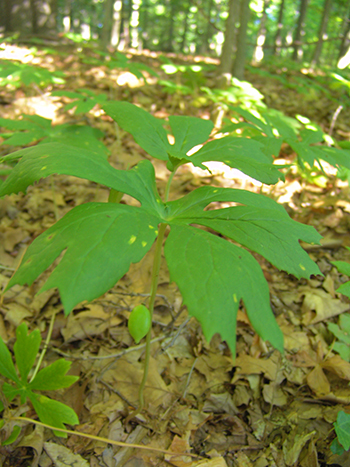 At about boot height in this region of the Crum Woods, you will see the resurgence of the once-dominate maple leaf viburnum, Viburnum acerifolium. 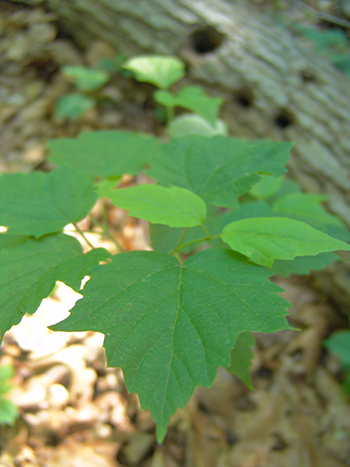 A generation ago, our eastern forests were dominated by this native shrub with aspiring botanists acing their botany quizzes because it was a prolific, easy to identify plant in the woods. This native, like most viburnums, produces attractive, conspicuous flowers and berries. The flowers are recognized by pollination ecologists as attracting large numbers of native bees. The berries are a source of food for birds and mammals. Mike Rolli, our former Crum Woods specialist, attributed the revival of this ecologically important shrub to the deer cull which suppressed over-browsing in the Crum Woods. Take a winter walk to explore history and native ecology resurging in this area of the Crum Woods.